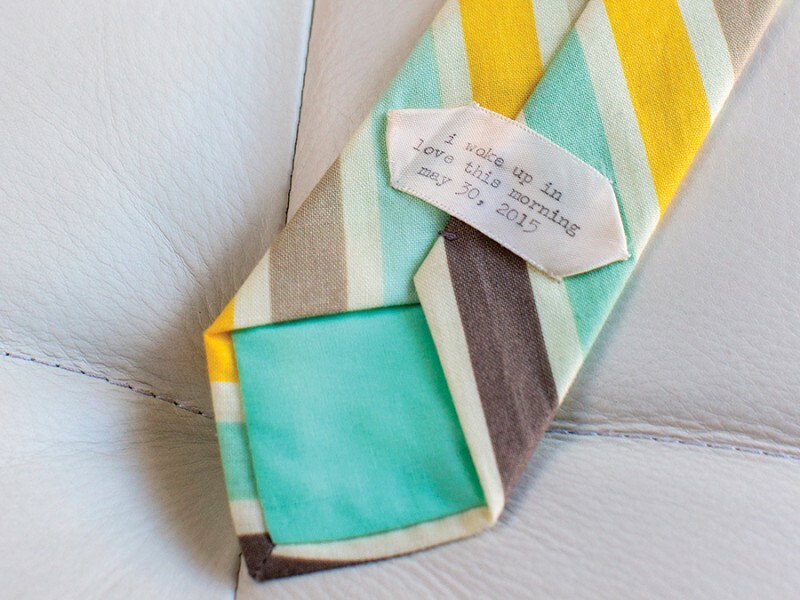 With all eyes on the bride, what she wears is of the utmost importance. 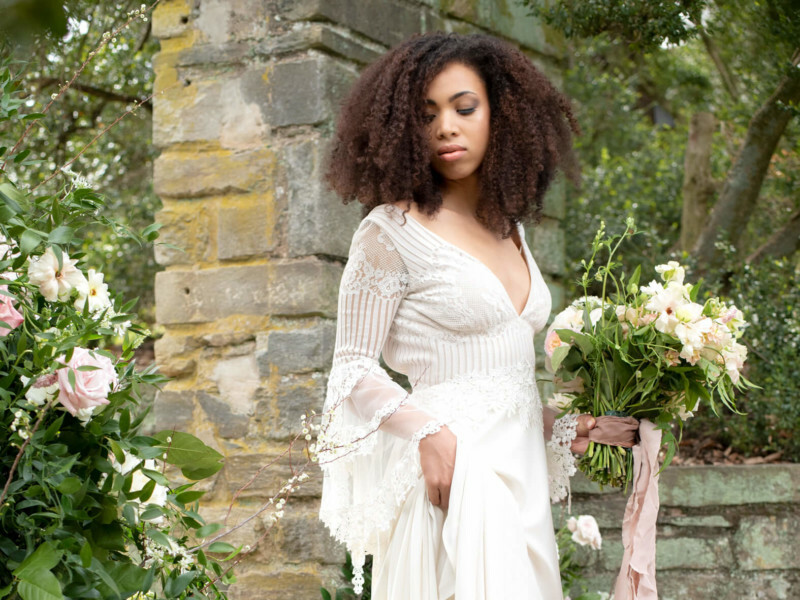 Betsy Robinson, founder and owner of Betsy Robinson’s Bridal Collection, remembers the search for her own wedding dress more than 40 years ago. Surprisingly, Robinson “didn’t care if I had a wedding dress.” It was her husband-to-be who envisioned a big, traditional wedding and all that came with it. Robinson, whose immediate peer group was already married—and some already parents—felt she was “too old” to make a fuss over her wedding preparations, including the dress search. After some convincing, Robinson was leaning toward a dress either in a jersey or a silk charmeuse fabric. She found a dress in a store in Westview Mall, but as she emerged from the dressing room, she knew something was wrong. “It looked terrible,” Robinson remembers. So, she ended up having a Galina dress ordered through the Anne Arundel County department store, Robinson’s, which was owned by her fiancé’s family. Robinson’s affections for bridal can be traced back to her early childhood when she, already an avid seamstress, started making clothes for her dolls and playing “wedding” with them during the summer. By age 14, she had graduated to making her own clothes. Having an intimate understanding of fabrics—what makes a solid construction, an appreciation of the details—is something Robinson calls upon when foraging through the markets today. “I always loved playing dress up,” she says. “And that’s what this is—dressing up other people.” After pursuing her art degree from Maryland Institute College of Art, Robinson figured a career in interior design would follow, never thinking a life in retail was “meant to be” until she started helping out at Robinson’s on Saturdays. The connection was immediate. “I fell in love with wedding dresses,” Robinson says. In the ready-to-wear main store, where Robinson worked, there were about 10 wedding dresses total, and selling two a month would be considered a major success. Most women in the early 1980s shopped at larger department stores or visited “bridal row” on Eastern Avenue, once home to institutions run by neighborhood seamstresses such as Stella’s Bridals, Etta Gown Shop, and Sonia’s. Thanks to Robinson, in less than two years, the bridal inventory grew tenfold. “I was pushing out other merchandise to make room for more bridal,” says Robinson. Her investment and business acumen paved the way for her to take her dresses and set up a bridal-only Robinson’s in Glen Burnie. In 2000, Robinson opened up the Pikesville store, and, five years later, when the Glen Burnie shop had reached the conclusion of its lease, Robinson closed its doors and concentrated solely on Pikesville. Today, the Pikesville store’s popularity and diverse inventory have made it a destination not just locally, but across the entire mid-Atlantic region. Robinson’s success is due to her chameleon-like ability to adjust to the various bridal trends. When she started in the industry, young brides wouldn’t dare consider wearing satin unless their weddings fell between the months of November and March, high-necklines and long sleeves were insisted upon for January weddings, and tulle was banished to only the spring and summer months. Now her “anything goes” thirtysomething brides wear organza any month of the year, beaded dresses before 6 p.m. ceremonies, and strapless dresses galore. And almost all of them are “savvy and educated in fashion,” says Robinson. Q: After picking the wedding date, a lot of brides place finding the dress as the next important milestone in wedding planning. What advice do you give brides when they start looking for their dresses? A. First, we suggest brides pick two or three people to bring with them whose opinions they value the most. With too many opinions, the bride will get overwhelmed. Second, we would advise brides to pick a few descriptive words to explain the type of wedding and dress they envision themselves having and wearing. Different styles of dresses convey different messages, so it helps us guide the bride when selecting dresses to try on. Third, we advise brides to have a clear budget set, keeping in mind that alterations are normally a separate cost. Q. If a bride has a full year to plan her wedding, when do you suggest she make a final decision on her dress? A. Bridal dresses can take anywhere between four and six months to come in. Alterations start between six and eight weeks before the wedding. Therefore, we suggest brides buy at least eight months before the wedding—but the earlier, the better. We tell our brides it is never too early to get the dress. The dress will set the tone for the wedding, therefore, the earlier you buy the dress, the easier the rest of your planning will be. Q. How much does an average bridal gown costs? A. Here, our dresses range from $800 to $14,000. Most brides will select a gown between $2,000 and $3,000. Q. How much should brides budget for dress alterations? A. Alterations are something to consider when buying a dress because, most of the time, the alterations are not included in the price of the gown. They can vary depending upon what needs to be done, but, on average, they will cost around $500. Q. For brides who are just beginning their searches, what styles do you suggest? A. You cannot go wrong with an A-line silhouette—it looks great on all body types. In the end, the best way to find your silhouette is try them all on and go with the one you feel the best in. Q. 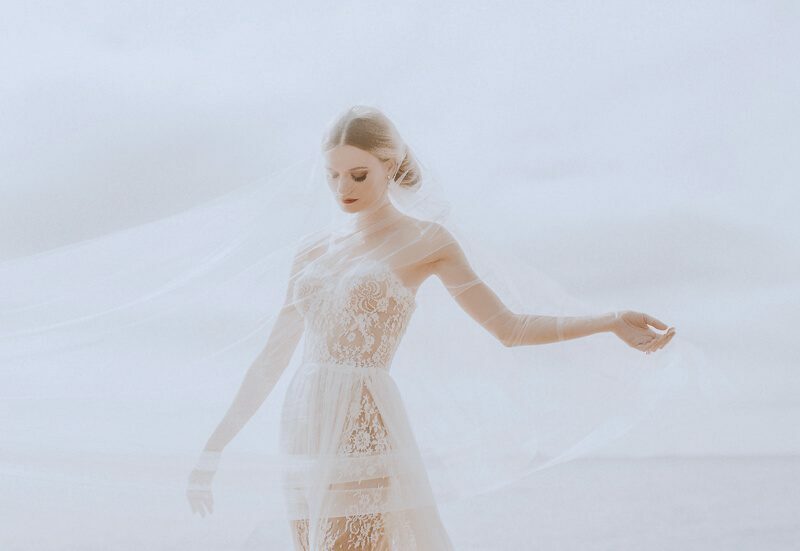 Are you seeing an increase in brides buying more than one wedding dress—one for the ceremony and a different one for the reception? A. No, we find that, more and more, brides want to wear one dress for the entire day. Occasionally, we have a bride who buys a ceremony dress and a party dress for comfort reasons. Q. Why are trunk shows so great for brides? A. Trunk shows are a great time for brides to see the newest collections from designers before they are even out in stores. It is very exclusive and, most of the time, an incentive is given if the bride purchases that weekend. If a bride loves a particular designer, a trunk show is a great time to see what they have to offer before anyone else. Q. At what point should the bride switch her attention to the other members in her bridal party? Aesthetically speaking, should the dresses in the bridal party be an extension of the wedding dress? A. The bride should focus on her bridal party after she chooses her dress. Bridesmaid and flower girl dresses can take up to three or four months to come in, so we recommend ordering about six months before the wedding. The bridesmaids’ dresses should complement the bridal gown, but not look too similar, as the bride should be the one to stand out the most. Q. Is it common for a bride to make unique design changes to her wedding dress? For example, add sleeves, choose a sparkly belt, alter the train, etc.? A. Yes, it is common for a bride to add a belt or a strap/sleeve to a dress, but, most of the time, they want to find a dress that already has those things incorporated. Most of the higher-end designers will make custom changes to a dress, but not all designers. Q. How has bridal fashion changed in the past 20 years? A. We have noticed a lot more low and intricate-illusion back details on dresses. Lace is still very much “in” and we find it amazing how designers keep coming up with new ways to incorporate lace. We also love that colors like blush and champagne, as well as floral patterned dresses, are back in. Q. How best can a bride preserve her wedding dress after her wedding? A. We partner with a preserving company where we send the dresses for cleaning. They are then shipped directly back to the bride.